A warm, comfortable, modern retreat in the 'Old Nags Head' style. Kitchen has been remodeled in 2018 with all new appliances, lighting, countertops, cabinet doors and hardware. Great for families, couple getaways, golf outings, and ladies' getaway. Relax in the front porch hammock or enjoy a long chat on the screen porch overlooking the private, secure pool. 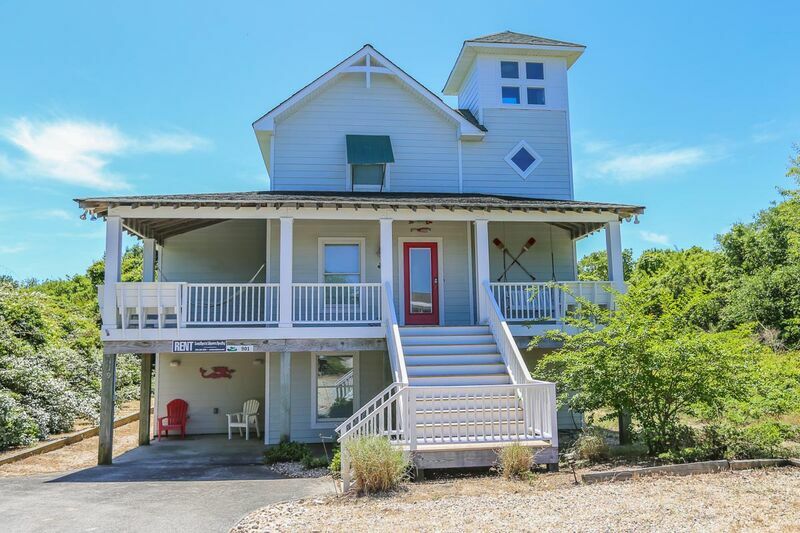 This quaint, Outer Banks cottage is in easy walking distance of the waterfront village of Duck, with great restaurants, coffee cafes, and unique shopping and galleries. Short, easy walk to both the Atlantic Ocean and Currituck Sound. Drive to lighthouses, museums and historic attractions such as the “First in Flight”, Wright Memorial in nearby Kill Devil Hills. Swim, surf, and fish in the ocean, or just enjoy the endless miles of beautiful sandy beach for walking, jogging, or shell hunting. Kayak, wind surf, or sail the adjacent bay; or for motor sport lovers, there are jet skis, parasails, and water skiing. Catch your dinner of fresh Virginia Blue crabs or a variety of fish from the neighborhood private pier and prepare a sumptuous dinner in the fully furnished open kitchen. Finish your evening relaxing in the private hot tub. Winter is also a great time to visit the Outer Banks. The crowds are gone, most restaurants are open and our gas log fireplace in the living area is just a click away. Ground level: 2 bedrooms (with Queen, 1 with King and TV with DVR), 2 full baths, den with sleep sofa. Living area with fireplace, TV; dining table seats 6; kitchen with seating for 4 at the bar, microwave, dishwasher; screen porch with furniture. Master bedroom (with King and private bath). 2 bedrooms (1 with Queen, 1 with Twins), full bath. Non accessible Ship's Watch.